Terracotta BigMemory a leading In-Memory data management solution that provides extreme performance, predictable low latency, high availability and simplify operations. 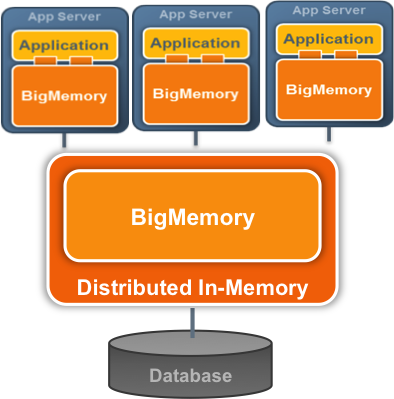 BigMemory can be easily snapped into the application to provide a scale up and scale out architecture and provide predictable latency. Applications can use various design patterns Cache Aside/Read-Through/Write-Through/Asynchronous Write Behind/Read Ahead based on individual use-cases. If there is a failure of one or more application server s and with out session replication then user experience is affected. This might not be acceptable for external facing or client facing applications. 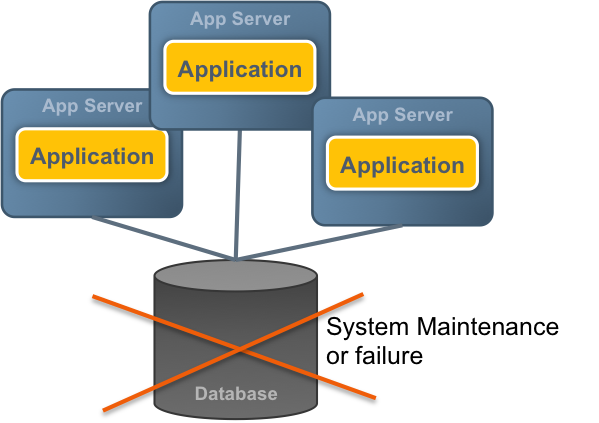 In a classical 3-tier architecture if there is a database failure or for any scheduled maintenance the entire application/s is unavailable. Any scheduled maintenance should be well coordinated with all applications and poses challenges with operations group. In case of application server failure terracotta web session’s module will ensure session data is available across application server instances and guaranteeing streamlined user experience. This is very critical for external facing or client facing applications. Simplified operations and elastic scalability. This provides operations team capability to maintain servers with out affecting client experience. 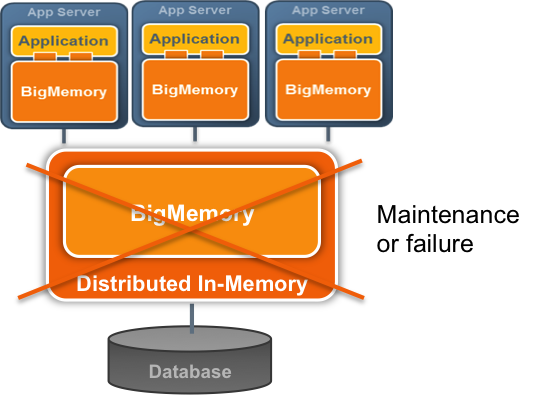 In Case of BigMemory Array failure or system maintenance applications can still access data with local BigMemory or can directly access database. 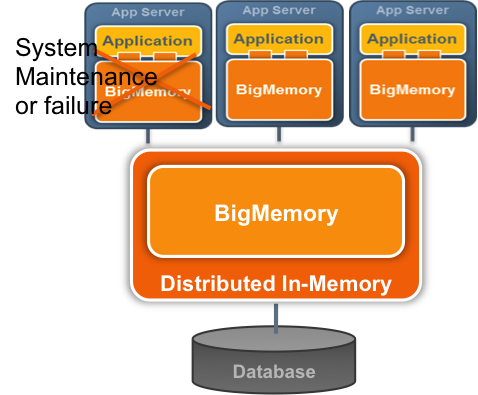 This increases the overall availability of the application with the downside of increased latency as applications need to access database instead of BigMemory server array. Non-Stop feature will allow reconnecting seamlessly and sync back after Terracotta Array is back online. 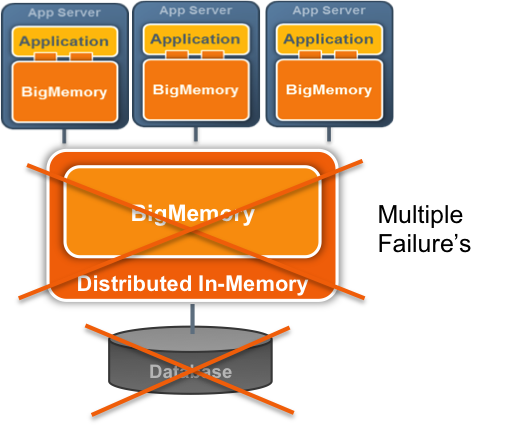 In case of Database failure applications are still operational as all data is still available in Big-Memory, hence increasing application reliability. Data can be synced back to Database when it’s back up online. 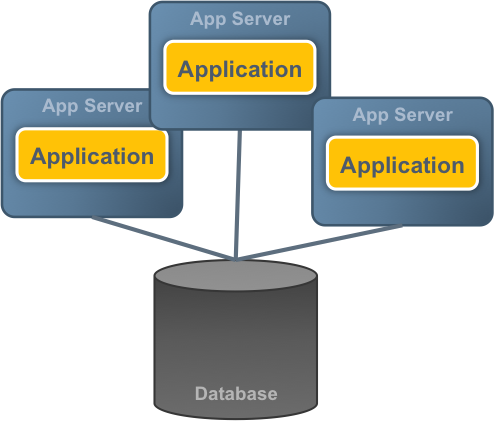 Simplified Operations as Database can be maintained with out impacting applications. This is a silver bullet for ops teams to have additional flexibility. 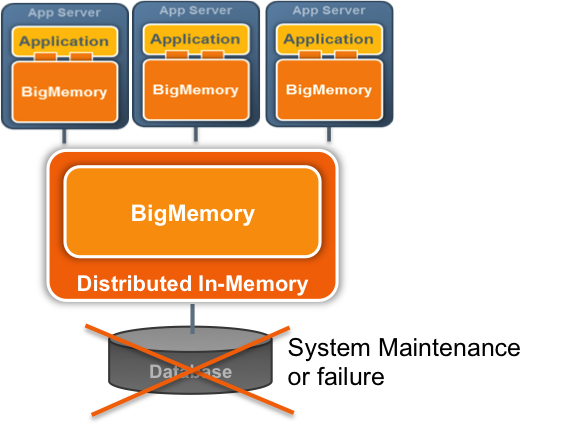 In case of failure of both BigMemory Array and Database , applications can still function(full or limited capability) with the use of BigMemory attached locally. This opens up new alternatives for application architects in their quest for innovative application design and architecture.